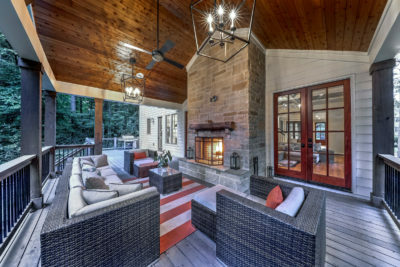 Upscale and sophisticated, Buckhead offers a wide variety of homes for sale from luxurious estate homes with lush green lawns and rolling hills to charming bungalows as well as sleek, modern high-rise condominiums and townhomes. Buckhead is also an entertainment and shopping mecca, including The Shops Buckhead Atlanta, Lenox Square Mall and Phipps Plaza. The location can’t be beat! See the sights and sounds of Buckhead in this video. 675 West Paces Ferry – Stunning collection of French Normandy-style homes close to West Paces Ferry and Northside Drive. See all homes for sale in 675 West Paces Ferry. Ardmore Park – The Ardmore Park neighborhood, close to Collier Hills, has a park, playground, picnic tables and a paved walking path. See homes for sale in Ardmore Park. Argonne Forest – Argonne Forest is in central Buckhead bordered by West Paces Ferry and Paces Ferry Road in the Morris Brandon Elementary school district. See homes for sale in Argonne Forest. Brookwood Hills – Historic Atlanta Intown neighborhood, close to Midtown Atlanta in South Buckhead. Walk to shops and restaurants. See all homes for sale in Brookwood Hills. Learn more about the history of Brookhaven Hills. Information on Brookwood Hills Community Club. Brownstones at Habersham – The Brownstones at Habersham are centrally located off of Habersham Road and Roswell Road in Buckhead. See all townhomes for sale in Brownstones at Habersham. Brownstones at Honour – A signature Buckhead location of 14 exclusive Townhomes with prices starting from the high $800,000, built by Atlanta builder, Brunning & Stang. See townhomes for sale in Brownstones at Honour. Chastain Park – This community offers exceptional amenities including Chastain Horse Park and Stables, the North Fulton Golf Course, the Chastain Park Athletic Club, community pool and Chastain Park Amphitheater. Learn more about Chastain Park. See homes for sale in Chastain Park. Collier Hills – This popular neighborhood, close to Piedmont Hospital and Ardmore Park, features bungalows, ranch style homes and new construction. See homes for sale in Collier Hills. Learn more about Collier Hills and Ardmore Park. Learn more about Collier Hills. Gallery Residences – These condominium residences have tastefully combined classic and contemporary architecture forged from a collaboration of two nationally recognized, award-winning Atlanta firms: architects Smallwood, Reynolds, Stewart & Associates Inc., and residential designer, William T Baker. See condominium homes for sale at Gallery Residences. Garden Hills – One of my favorite neighborhoods! Walk to the duck pond. Enjoy the community pool and soccer field. See all homes for sale in Garden Hills. Read more about the history of Garden Hills. Learn more about Garden Hills. Hanover West – Located in the Morris Brandon Elementary schoo district, walk to golf, tennis and dining. See homes for sale in Hanover West. Haynes Manor – Haynes Manor’s spectacular entrance from Peachtree Road along Peachtree Battle Parkway gives the area a wonderful, European flavor. See homes for sale in Haynes Manor. Read more about the history of Haynes Manor. Kingswood – sought after neighborhood of stately homes off West Paces Ferry Road close to Pace Academy. See all homes in Kingswood. Learn more about Kingswood. Longleaf – Enjoy a low maintenance lifestyle and walk to Phipps Plaza and Lenox Square, along with numerous restaurants. See homes for sale in Longleaf. Meadowbrook – North Buckhead neighborhood with large lots. See homes for sale in Meadowbrook. See homes for sale in Meadowbrook. Mount Paran Parkway – Mount Paran is located within the coveted Warren T. Jackson elementary school district, close to the Country Store. Although this is an individual neighborhood, often times homes in Mount Paran are listed as simply “Buckhead” or “Chastain” as the neighborhood name. See homes for sale in Mount Paran Parkway. 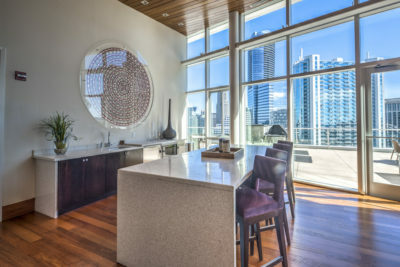 Park Place – One of Atlanta’s most exclusive residences, this 40-story highrise, located in the heart of Buckhead, boasts spectacular views, doorman, concierge, valet parking, full-time maintenance staff, a wine cellar, guest suites, a health club with sauna and club room and swimming pool. See condominiums residences in Park Place. Peachtree Heights – Adjacent to Garden Hills, between East Paces Ferry and Lindberg. 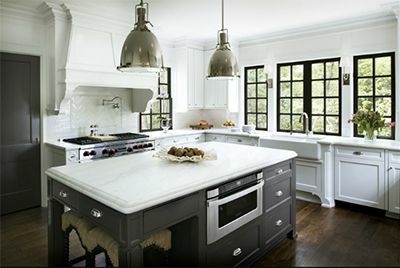 See homes in Peachtree Heights here. Peachtree Hills – Charming collection of bungalows and new construction in walking distance to shops and restaurants including Treehouse Restaurant for casual dining with a patio that is dog-friendly. See homes for sale in Peachtree Hills. Learn more about the history of Peachtree Hills. Information on the Peachtree Hills Civic Associatio. Learn more about Peachtree Hills. Peachtree Park – Walk to the Atlanta Financial Center, Lenox Square and Buckhead Diner and more from this sought-after Buckhead neighborhood. See homes for sale in Peachtree Park. Read more about the history of Peachtree Park. Information on Peachtree Park Civic Association. Learn more about Peachtree Park. Pine Hills – close to Lenox Square, most of Pine Hills is in the Sarah Smith Elementary school district. See homes for sale in Pine Hills. Regents Park at Peachtree Battle – exclusive enclave of luxury townhomes and flats in the historic Peachtree Battle area of Buckhead. See homes for sale at Regents Park. Ritz Carlton Residences – Imagine a home not only defined by sophisticated style and sumptuous furnishings, but equipped with impeccable service delivered by The Ritz-Carlton. From housekeeping and valet services to gourmet dining and dedicated concierge, you’ll enjoy five-star living. See condominium residences at the Ritz Carlton Residences. St. Andrews – Located on East Andrews in the heart of Buckhead, these luxury townhomes were built by Monte Hewett. Outstanding location! Walk to shops and restaurants. Close to Cherokee Town Club. See homes for sale in St. Andrews. St. Regis Residences – Eighty-Eighty West Paces Ferry leads the list of the city’s most exclusive addresses and is a perfect location for St. Regis Residences. See condominium residences available at St. Regis Residences. Sovereign – Timeless architecture and breath-taking views await you at Sovereign, luxury condominium residences. See condominium residences available at Sovereign. Springlake – Close to Bobby Jones Golf Course, in the Morris Brandon Elementary school district, Springlake is a popular choice. See homes for sale in Springlake. Learn more about Springlake. Terminus – Luxury condominiums located at the corner of Piedmont and Peachtree. Enjoy 5-star amenities and superb location. See all homes for sale in Terminus. The Astoria at The Ardmore – Close to Peachtree Battle shopping center and Bennett Street, The Astoria offers 70 elegantly appointed condominium homes with top-of-the-line finishes. See condominium homes for sale at The Astoria. The Charles – The Charles features 57 luxury residences in the heart of Buckhead, adjacent to The Shops at Buckhead Atlanta. The outdoor amenity rooftop terrace features an infinity pool and landscaped gardens extending from the covered club area. See homes for sale at The Charles. Tuxedo Park – Outstanding neighborhood of grand homes on with beautifully landscaped lawns, located in the Warren T. Jackson Elementary school district. See homes for sale in Tuxedo Park. Read more about the history of Tuxedo Park. Learn more about Tuxedo Park. Vinings – Located in Cobb County, historic Vinings on the Chattahoochee River boasts shopping in Vinings Village, dining at Canoe and Vinings Inn and exclusive private schools Lovett and Westminister. See all homes for sale in Vinings. Wildwood – Sought after neighborhood of bungalows and new construction in the Morris Brandon Elementary school district. See all homes for sale in Wildwood. Learn more about Wildwood. 120 West Wieuca – Luxury gated townhomes community in Chastain Park. Built by John Wieland Homes, 120 West Wieuca offers premium finishes, sky terraces and elevators. Walk to shops and restaurants! See all homes for sale in 120 West Wieuca. More Buckhead Neighborhoods – Search all neighborhoods in Buckhead and Atlanta. 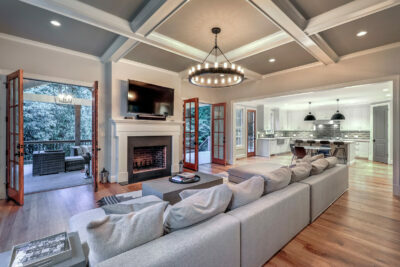 View Buckhead Market Reports below by price range. The report includes data gathered from First Multiple Listing Service (FMLS) for the last 6 months showing median price, percentage of list-to-sales price, days on market , inventory report and homes that have sold in the last 30 days. 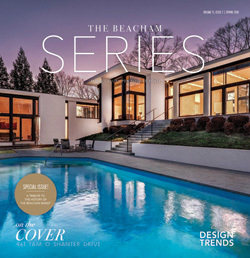 This report is provided as a snapshot of the Buckhead real estate market. Contact our team for more specific information. Buckhead is the ultimate shopping area, with two major malls and lots of little boutiques, antiques shops, and galleries. If you’re serious about shopping, this is the place to start. Even though the area has an upscale reputation, don’t let that stop you. There’s lots of variety, and the competition can mean excellent bargains. With over 1400 retail shops in the area, Buckhead offers something for everyone. The hot spot for the best of Buckhead is at the corner of Peachtree and Lenox roads, where you find two major malls — Phipps Plaza and Lenox Square face off against each other. Phipps Plaza is the premier upscale shopping center and is home to more than 100 specialty stores including Gucci, Giorgio Armani, Jimmy Choo, Tiffany’s and Juicy Couture. You also find Nordstrom, Belk and Saks Fifth Avenue. After a day of shopping, see a movie at the AMC 14-screen theatre or grab a meal at The Tavern at Phipps. Right around the corner, enjoy Misson + Market at Three Alliance Center or Little Alley’s Steakhouse at One Alliance Center. Lenox Square is anchored by Bloomingdale’s, Neiman Marcus and Macy’s, and features nearly 250 specialty stores like Anthropologie, BCBG, Bobby Jones, Burberry, Brooks Brothers, Calvin Klein, Cartier, David Yurman, Louis Vuitton, Kate Spade, and Ralph Lauren. If shopping makes you hungry, eat at one of the many restaurants such as Prime and California Pizza Kitchen or eat at the food court. If your time is limited, pick one of these malls and spend the morning or afternoon there. Both malls offer valet parking. Buckhead’s newest venue is The Shops Buckhead Atlanta which opened in 2014. 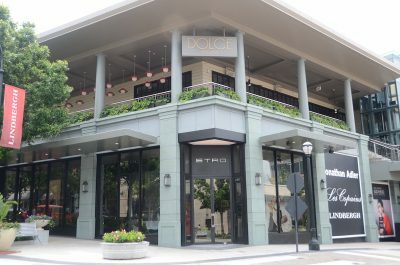 Located in the heart of Buckhead at the intersection of Peachtree, Roswell Road and West Paces Ferry at 3035 Peachtree Road, Buckhead Atlanta features luxury boutiques and shops as well as restaurants. Visit my personal favorites, Joie and Buckhead Art & Company as well as Alice + Olivia, Planet Blue, Theory, Brunello Cucinelli,Akris, Intermix, L’Occitane, Hermes, Brunello Cucinelli and more! Dine at American Cut Steakhouse, The Southern Gentleman, Gypsy Kitchen, Le Bilboquet, Shake Shake The Regent Cocktail Club, Taverna, Doraku, Fado Irish Pub and more. 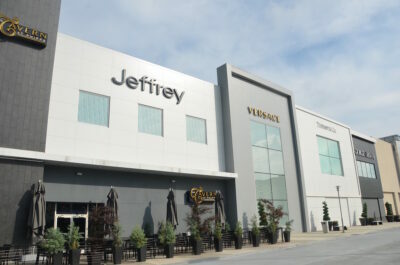 Around the corner is another favorite, Peachtree Battle Shopping Center which features Publix, Talbots, Nadeu | Furniture with a Soul, along with may other shops and restaurants including Starbucks. 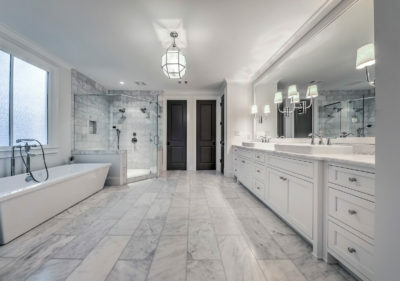 Miami Circle, located off Piedmont Road close to Sydney Marcus, is filled with stores featuring art, antiques, rugs, furniture as well as granite, tiles, upscale appliances and plumbing fixtures. One of my favorite galleries, Anne Irwin Fine Art is at 690 Miami Circle. There are also many options in Buckhead West Village, near the intersection of Peachtree and West Paces Ferry roads. Shops also line the rest of Peachtree Road as well as smaller side streets. Plan a trip to ADAC | Atlanta Decorative Arts Center which is now open to the public. ADAC offers many interesting seminars and events. Buckhead also has an amazing collection of boutiques and gift shops for unique and personal gifts including Rumson Gifts, Huff Harrington, Lucy’s Market, Poppy’s of Atlanta, Boxwoods Gardens & Gifts and more. Buckhead dining options are endless. It is home to some of the best restaurants and is the go-to place when dining out. The Buckhead Life Restaurant Group offers some of the best restaurants in Atlanta and included Chops | Lobster Bar, two Italian favorites: Pricci and Bistro Niko, Kyma, Atlanta Fish Market, Buckhead Diner, Corner Cafe and for private events, 103 West. Looking for a small, charming restaurant in Buckhead? For Provencal charm and warm inviting atmosphere, dine at Anis Cafe & Bistro. For South African cuisine, Yebo Beach Haus offers a tantalizing menu and large outdoor patio for dining al-fresco. Don’t miss Bhojanic in the Around Lenox Shopping Center for traditional home-style Indian Cuisine. Buckhead has a wide assortment of health and fitness classes from yoga and Pilates to high-intensity weight training. Here are a few of our favorites. – Atlanta Hot Yoga offers classes in Hot Yoga, Pilates, West Coast Power Flow, Vinyasa Flow, Power Yoga and more. They also have workshops and special events to educate and motivate. 2140 Peachtree Road,Suite 230, Atlanta, GA 30309 404-355-2652. Connect with Atlanta Hot Yoga on FaceBook. Blast – Blast 900 offers high-intensity, 60-minute sessions of interval training featuring Aerobic and Strength Training. Blast 900 had two Atlanta locations, one in Buckhead at 56 E Andrews Drive, Suite 11, Atlanta, GA 30305 404-841-5430 and one in Dunwoody in Dunwoody Village at 5521 Chamblee Dunwoody Road, Atlanta, GA 30338. Connect with Blast 900 on FaceBook. FlyWheel Atlanta – Flywheel Atlanta offers Flywheel indoor cycling classes. Flywheel’s Atlanta location is 102 W Paces Ferry Road NW, Suite A, Atlanta, GA 30305 678-702-5684. Connect with Flywheel Atlanta on FaceBook. Inspire Health – Offers group and individual sessions in STOTT Pilates, including reformer and mat classes as well as Physical Therapy, Therapeutic Massage, Yoga, Acupuncture and Nutrition. Inspire Health Buckhead is located at 107 West Paces Ferry, Suite 200, Atlanta, Georgia 30305 . Connect with Inspire Health on FaceBook. The Forum Athletic Club – The Forum Athletic Club offers classes in Kickboxing, Cycling, ABS, Cardio-Agility, and Fast Twitch Class. The Forum Athletic Club has two Atlanta locations, one in Buckhead at 3393 Peachtree Road NE, Suite 2010-A, Atlanta GA 30326 678-904-1940 and one in Johns Creek at 6000 Medlock Bridge Parkway, Suite C300, Johns Creek, GA 30022 770-623-0304. 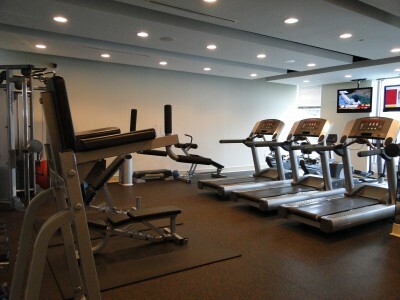 Connect with The Forum Athletic Club Buckhead on FaceBook. Eat fresh and support local farmers. Visit the Peachtree Road Farmers’ Market. The Buckhead farmers’ market is held at the Cathedral of St. Philip at 2744 Peachtree Road NW every Saturday 9:00 am- 12:30pm beginning in April and continuing through December. The Local Farmstand is located at 1198 Howell Mill Road (in front of Star Provisions). It is opened Tuesday through Saturday from 10am – 6pm. 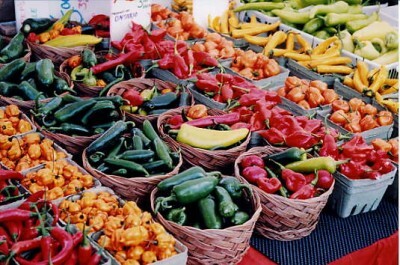 In nearby Brookhaven, the Brookhaven Farmers Market runs every Saturday from 9am – 1pm, late April through December. The Brookhaven Farmers Market takes place on Dresden Drive across from the fire station in the parking lot of University Baptist Church 1375 Fernwood Circle NE. Drive less. BucRide (also known as “The Buc”) is a community shuttle service designed to provide FAST, FREE and FREQUENT connections between area hotels, restaurants, offices. Take MARTA to locations within Buckhead and other locations in the metro area. There are MARTA rail stations in Buckhead (Lenox, Lindbergh and Buckhead stops) along with bus routes throughout Buckhead and Fulton County. Trinity Arts Festival – Featuring more than 7,500 works of art. Open to the public with free parking and admission. Buckhead Restaurant Week – Enjoy Buckhead’s restaurants as they showcase their outstanding cuisine. Held in March, restaurants provide a limited three course meal menu for a set cost to allow a sampling of the restaurants cuisine. Buckhead Spring Arts & Crafts Festival – A two day, outdoor event, transforming Chastain park into an outdoor gallery of spectacular arts and crafts. The event is held in May. Decorators’ Show House and Gardens – One of several fund-raising events of the Atlanta Symphony Associates. The chosen annual house showcases dozens of the finest interior and landscape designers in the Southeast. Fourth of July at Lenox Square – Visit Lenox Square for fun and free things to do on the 4th of July in Atlanta. There will be inflatables at the Kids Zone and live entertainment. There will be thousands of fireworks bursting in air for approximately 20 minutes, accompanied by a patriotic musical soundtrack.It’s the largest fireworks display in the Southeast! Peachtree Road Race – An Atlanta tradition! 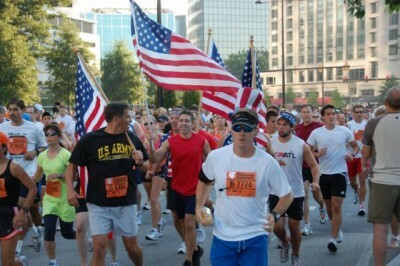 Held each July 4th, 55,000 runners line up on Peachtree, in front of Lenox Square and Phipps Plaza. Piedmont Park marks the end of this largest 10k run. Pace Academy Fall Fair – A popular community tradition that attracts over 9000 area residents. The fair has games, rides, food and fun for all ages. The event is held in October. Chastain Park Arts Festival – More than 100 fine artists and artisans exhibit their work during this two day event, transforming Chastain Park into an outdoor gallery of spectacular fine arts and crafts. This event is held in November. The Pink Pig at Macy’s – An Atlanta holiday tradition since 1953. Every November and December, Children of all ages ride a train through a life-sized storybook featuring Priscilla, the Pink Pig. The Pink Pig is located at the top of the Macy’s parking deck at Lenox Square. Lighting of Macy’s Great Tree – A tradition started in 1948, the lighting of the enormous 75-foot tree at Macy’s in Buckhead awakens the holiday spirit in Atlantans like no other event. On Thanksgiving night, thousands come to sing carols with mass choirs and wait for the great tree, with its seven-foot star, to light up the winter sky along with a spectacular fireworks display. Read more about Buckhead on our Blog! Chastain Park Amphitheatre built in 1938. 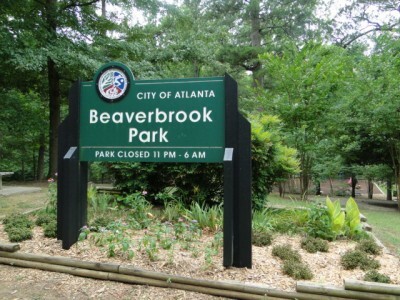 In 1945, it was named for Troy G. Chastain, a Fulton County commissioner who led the development of Atlanta’s park system. 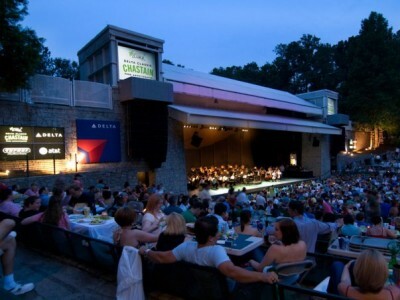 The city of Atlanta took over ownership of the amphitheater in 1952, and since 1973, the Atlanta Symphony has been holding its popular summer concert series there. It also is the venue for other shows from April to October. The amphitheater is at 4469 Stella Dr., or Powers Ferry Rd. at West Wieuca Rd., telephone 404-233-2227. 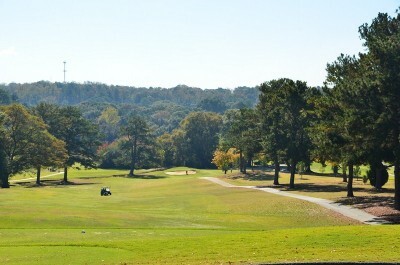 North Fulton Golf Course is located in Chastain Park. 216 W. Wieuca Road, Atlanta, GA 30342 404-255-0723. The Cherokee Town Club is located at 155 West Paces Ferry Road, Atlanta, GA 30305. The Town Club includes pool, fitness center, 16 tennis courts (hard & clay courts), formal and informal dining areas as well as ballroom and banquet facilities. The Cherokee Country Club is 665 Hightower Trail Atlanta, Georgia 30350 The Country Club is home to a second clubhouse, pool, tennis courts and two 18 hole championship golf courses, the North Course and the South Course. MARTA – Metropolitan Atlanta Rapid Transit Authority provides rapid rail and bus service within Buckhead and Greater Atlanta. Buckhead offers outstanding academic options for children of all ages. Here is a sample. In addition, you can find out more information about metro Atlanta schools at Great Schools. a national network of Early Learning Centers of Excellence dedicated to children infancy to five years. Several locations in Atlanta Metro. 4669 Roswell Road NE, Atlanta, GA 30342. 404-256-4488. 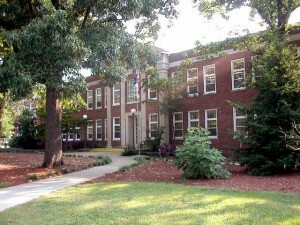 The Goddard School Piedmont Center – 3525 Piedmont Road NE, Atlanta, GA 30305. (404) 467-7577. Offers programs for children 6 weeks through 6 years. North Atlanta High School – 2875 Northside Drive NW, Atlanta, GA 30305. (404) 802-4700. An International Baccalaureate school with over 1300 students in grades 9th through 12th. – 3254 Northside Parkway NW, Atlanta, GA 30327. (404) 845-0900. 177 students in grades 6 through 12. Atlanta International School – 2890 North Fulton Drive, Atlanta, GA 30305. (404) 841-3840. 850 students in Kindergarten – 12th grade. Atlanta Speech School – 3160 Northside Parkway NW, Atlanta, GA 30327. (404) 233-5332. Serving 309 students in Pre-K through 6th grade. Christ the King – 46 Peachtree Way NE, Atlanta, GA 30305. (404) 233-0383. A National Blue Ribbon school with 551 students K – 8. The Lovett School – 4075 Paces Ferry Road NW, Atlanta, GA 30327. (404) 262-3032. 1553 students in grades K – 12. Pace Academy – 966 West Paces Ferry Road, Atlanta, GA 30327. (404) 262-1345. 9995 students in Pre-K through 12th grade. Trinity – 4301 Northside Parkway, Atlanta, GA 30327. (404) 231-8100. 588 students in grades PK – 6. Westminister – 1424 West Paces Ferry Road NW, Atlanta, GA 30327. (404) 355-8673. Pre-K to 12th grade with approximately 1850 students. Woodward – 1662 Rugby Avenue, College Park, GA 30337. (404) 765-4000. Serving almost 3000 students in grades Pre-K through 12th. Bus service from Buckhead to the Woodard campus is available. 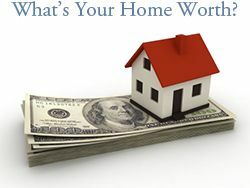 Selling your home in Buckhead? Becky combines traditional real estate methods with state-of-the-art Internet marketing. Each home is unique. Becky will meet with you, listen to your goals and customize a plan for you and your home. When you list your Buckhead home with Becky, your home will be receive professional staging, top quality photography, virtual tour, a website/URL devoted exclusively to your home, custom designed color brochure, 24 hour buyer hot line, agent-to-agent marketing strategies, consistent feedback from agents and buyers who view your home, top negotiating skills and contract-to-closing expertise. Schedule your Free Home Marketing Analysis.